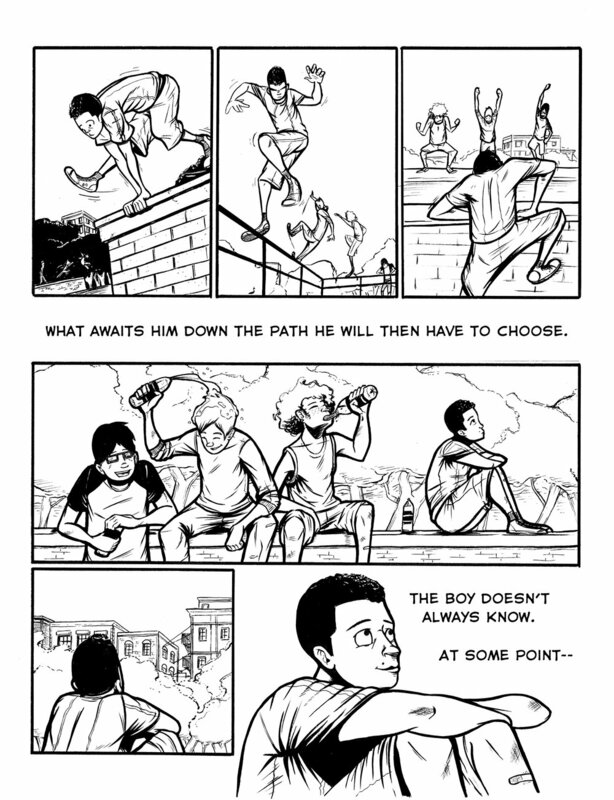 A 6-page parkour comic created as part of the anthology "Punky Doodle Dandy" and as a reminder to myself to never forget who I am, no matter how much I grow up. The anthology theme was "Punk" (duh), so I decided to do a parkour story about growing up and having to choose between passions or responsibility. The quote style comic was inspired by Zen Pencils Webcomic and the quote is from the episode 2 prologue of Outlaw Star.